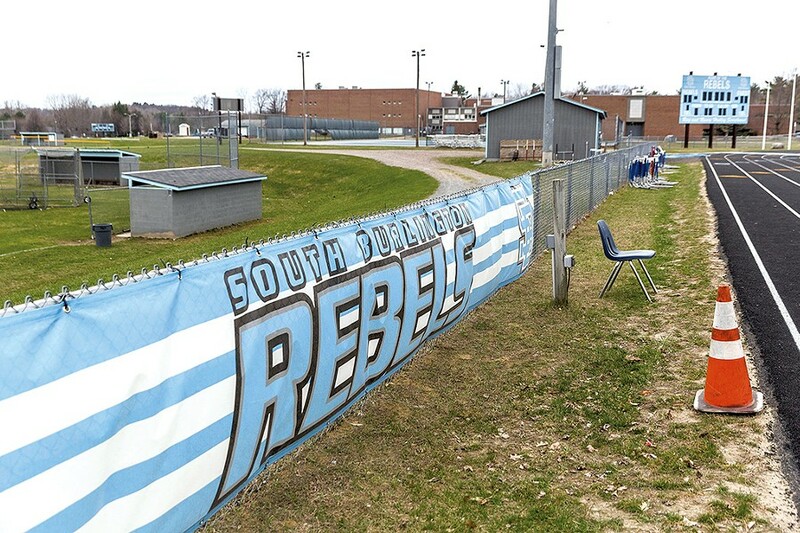 The push to bring the Rebels nickname question to a public vote in South Burlington hit a major roadblock Wednesday night. Four of five South Burlington School Board members said they would not support a vote on the controversial moniker despite a successful petition drive calling for one. They said a public vote would represent an abdication of their responsibility as an elected board and that they stood by their decision to dump the name because it has racist connotations that divide the community. Supporters of the petition drive decried the board's decision and said they might take legal action to pursue a vote. "I think it was an extremely cowardly move," said Stacey Savage, a leader in the Rebel Alliance, which ran the petition drive, as she walked out of the meeting after the board's decision. "I think there is a tremendous division in the community that they have created." She said the Rebel Alliance would actively raise funds to "ensure due process" including a possible lawsuit. "That's not out of the question," Savage said. 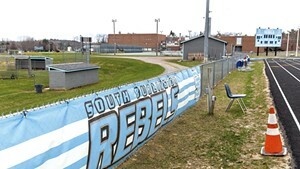 The Rebel Alliance formed to keep the name after the board voted to drop it in February. Alliance members say it's a benign identifier that has long since been disassociated from the Confederate flags and Captain Rebel mascot that were once a part of the way the South Burlington district celebrated its Rebels spirit. Only school board member Steve Wisloski favored putting the name question to a public vote, saying he felt that it was the democratic thing to do in light of the petition. But no other board members seconded his motion to bring the question to a board vote. So the matter died. About 100 people attended the meeting at the Frederick H. Tuttle Middle School in South Burlington. Some urged the board to do what it did — stand by its earlier decision. 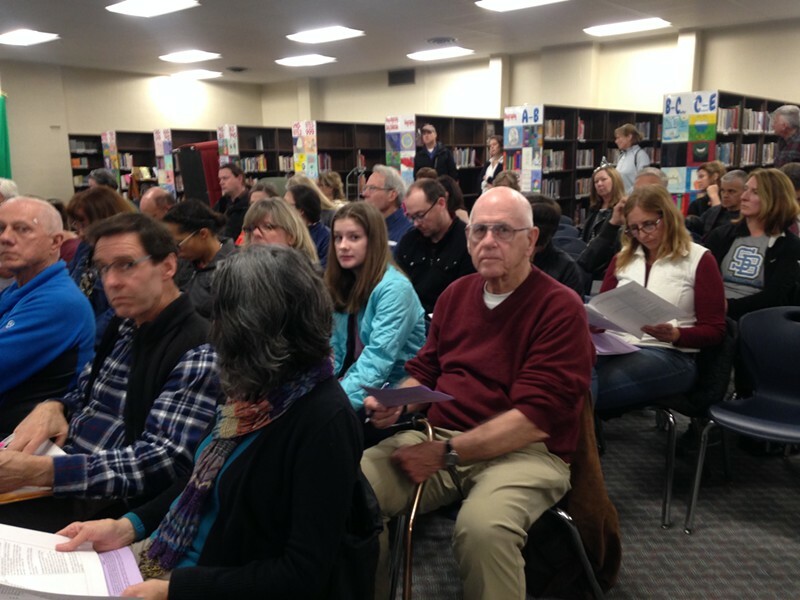 "It's your job ... to make these decisions," said Steve Bolger, a South Burlington parent. Longtime resident Sandy Dooley agreed. "I see the question of the Rebel name as a human rights issue," she said. Dooley added: "I encourage the board not to put this to a vote." Others said the opposite. 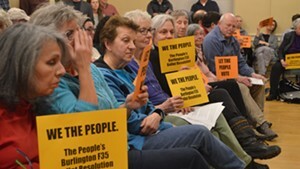 "I urge you again, put this issue to a binding vote and I think we will get the healing that we need," said South Burlington resident Claudia Berger. The board took no action on a second petition organized by the Rebel Alliance for a ballot question seeking to block public funding to remove the Rebels name from team uniforms and scoreboards. At a school board meeting last week, a district-paid attorney, Pietro Lynn, said that Vermont law gives elected boards discretion about what they put on the ballot — even after citizens gather the required signatures under the law calling for a public vote or revote on an issue. School board chair Elizabeth Fitzgerald said she supported the decision to retire the name and opposed a public vote partly because of the "slippery slope or precedent" it might set by inspiring other petition drives for public votes on matters that she believes should be the purview of the board. But Fitzgerald said people on both sides of the debate had been wrongly criticized: Rebels supporters who care deeply about the community were misjudged, while supporters of the name change were accusing of "pandering to a minority" and overdoing it with being "politically correct," she said. "My hope is that we can retire the Rebel nickname with the dignity it deserves," Fitzgerald said, and "collectively embrace" students' right to pick a new name. 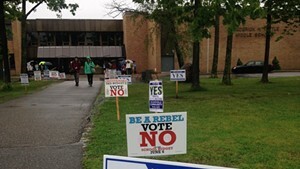 After the Rebels discussion, the board agreed to put a $49.3 million budget to voters June 6. It will be the third attempt to pass a budget for the next school year after defeats in March and April. 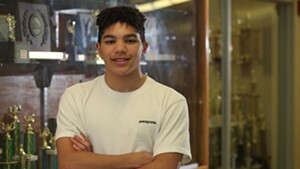 The rejections were fueled partly by opposition to funding for scrubbing the Rebels name from sports uniforms and school property. After each defeat, the school board put up a slightly smaller budget. The first budget represented a 7.6 percent spending increase over the current budget, while the second called for a 5.9 percent increase. The third budget proposal would increase spending 4.9 percent. Due to the complexities of the state education funding system, school property taxes would drop under the new proposal by 1.2 percent even though spending would go up. The new budget does not include new spending for the nickname change, school board members say. If the third budget fails, the school board will not go for a fourth one, members announced. Instead they will "level fund" at the current $46.9 million budget amount, which is allowed without a new vote under Vermont law. While some people at the meeting implored residents to pass the school budget, others were disenchanted. Savage said she would vote against the third budget partly to make a statement to the board.